Week 8 - Graduation Week! Good morning and welcome to Week 8! I hope that you all had a chance to enjoy the beautiful weather on the weekend! Excursion Notes - Please make sure that all notes and money are returned by Friday 2nd December. If you would like to join us for the afternoon at Xscape, please feel free to do so. Just a reminder that we will conclude the day at 4pm. Please be prompt in picking up your child. A reminder that our excursion is on Wednesday 7th December. We will leave school promptly at 8.30am. Your child can come in free dress for the day. Board and P & F AGM - Please make sure that you come along to support this important event. It will begin at 6.30pm. Book Week - what an amazing event, thank you all for helping the students to enjoy this last book week at OLC. The costumes were amazing! 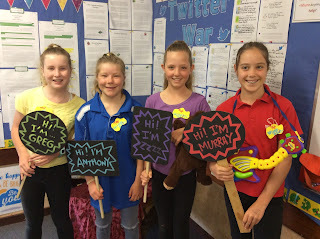 There were certainly some very interesting creations around the Australian Story theme! The days are certainly flying past at a rate of knots! A few reminders for the coming weeks to keep track of everything. St Mary MacKillop Orientation Day - is on this Wednesday 23rd November. 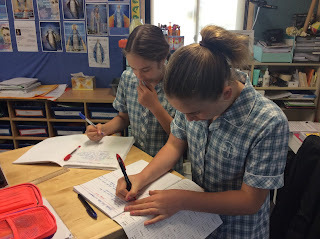 You will have received information from St Mary MacKillop directly giving you all the information that you need for the day. I look forward to hearing all about it on Thursday. Book Week Dress Up Day - this is on this Thursday 24th November. The theme is Australian Story or Australian Hero. I am looking forward to celebrating this fun day with the students. Graduation Dinner Notes - please make sure that these are returned as soon as possible. The Year 5 parents are busily planning a fantastic event for us and they need to know numbers. Please make sure that you indicate any dietary requirements. Just an advance warning that the dress code is smart casual for the evening. Each year at OLC we take time to be thankful for all that we have and to assist those in need. We are asking all families in the school to give as generously as possible. This year the Year 4/5/6 student families are being asked to donate toiletries such as shampoo, conditioner, hairbrushes, toothpaste, toothbrushes, lip balm, sunscreen, soap etc. If each family could give at least 2 items it would go a long way to helping those families in need. I will place a box in Year 6 for your donations, if you can please make sure that you have them in by Monday 5th December. All parents are hereby formally invited to the Year 6 Graduation on Friday 2nd December, starting with Mass at the Church at 5:30pm, followed by dinner in the Hall at school. In understanding that all families within our school are different and all are welcome, this year it has been decided that we would like to include the significant adults in your child’s life, for example, a step-parent. Additionally if there are extenuating circumstances that a parent is not able to attend we would like to extend the invitation to include an older sibling. Please see me to discuss this further if you would like. Could you please complete the “Graduation Dinner” form below and please return it to me by the Friday 25th November 2016. RE: Year 6 End of Year Excursion – Gravity & Xscape to the Cape - Wednesday 7th December. 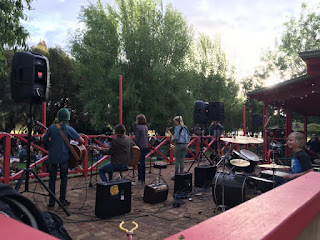 To celebrate an exceptional year’s work and to farewell the Year 6 students, we will be travelling to Gravity in Bunbury and Xscape to the Cape for our end of year excursion. The cost for this excursion will be $44.50 and is payable by the 2nd December. This amount includes entry to Gravity for 1 hour, special socks to be worn at Gravity, entry to Xscape and lunch. I am in need of parent helpers, so please let me know if you are able to assist. If you would like to come with us, you will need to purchase your own ticket at both venues if you would like to join in the activities. All parents are welcome to join us for any part of the day. Children will need to be picked up from Xscape to the Cape by 4pm. There will be no bus to bring the students home as it will drop us at Xscape and then leave. Year 1P and Year 6 Buddy Mass On Wednesday the 9th of November, Year 1P and their Year 6 buddy class were lucky enough to celebrate a mass together at Our Lady of the Southern Cross church. The children were extremely reverent and the Year 6 buddies helped the children make the sign of the cross as they entered the church and genuflect as they sat down. Here are some picture of our walk and time at the church with our buddies. The children had a wonderful time attending Mass with our Year 1 buddies. Many thanks to Miss Prowse and Father Ian for a lovely morning celebrating together. I would like to start off by offering my congratulations to all of the parents and students involved in the Simmo's Family Party. It was a fantastic event that was very well supported by our amazing students. They sounded phenomenal...great work by the roadies too! It was so great to see our students willing to help out their community using their talents. St Mary MacKillop Orientation Day - this is on Wednesday 23rd November. You will have received information from MacKillop directly. Students will make their way directly to MacKillop on Wednesday morning. Any students not attending MacKillop will come to school as normal. 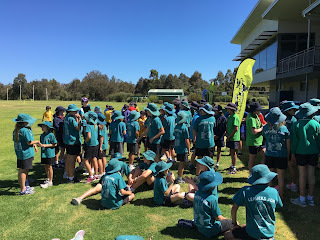 Milo T20 Cricket Carnival - Please make sure that you child has returned their permission slip. This will be held on Friday 18th November. Please make sure that your child has plenty of food and water for the day and has applied sunscreen before leaving home. The time is flying past and the students are still working hard! Last week we had Ms Emma King and Ms Katrina Grylls come and speak with us about some of the things that the students can expect about high school. The students were very respectful and listened carefully and also got some great tips from previous students Lily Omodei and Jack Dollisson! Co-ordinator for 2017 is looking forward to getting to know the students better.